Is there a chat button extension I can use on my Magento powered site? LiveHelpNow's Chat Button is the starting point for engaging your customers in conversation on your site. The live chat button extension adds click-to-chat functionality to your website, allowing you to interact directly with website visitors the same way you would in a traditional retail store. You wouldn't ignore customers in your store, so don't ignore the ones visiting your site every day! Choose a chat button image from our library of icons or add your own custom button images & plug them directly into your website. Instructions on how to install and configure the Live Chat Button on Magento. 1. Obtain an Extension Key from the Magento Connect website clicking here. 2. Login to the admin section of your Magento website. 3. Go to System -> Magento Connect -> Magento Connect Manager. 4. 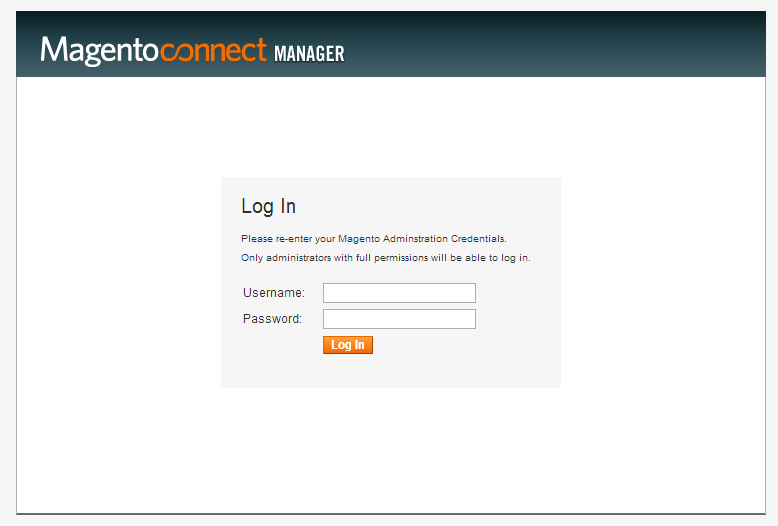 Login to Magento Connect Manager as your Magento Admin. 5. Paste the Extension Key you obtained into the text box and click install. 1. Login to the admin section of your Magento website. 3. Click the Add New Widget Instance Button. 4. For "Type", please choose "LiveHelpNow Help Desk - Chat Button and for "Design Package / Theme", please choose "default / default and click "Continue". 5. Enter a "Widget Instance Title" and select "Widget Options" from the side menu. 6. Fill out the LiveHelpNow widget form and click "Save". You may find your account number by logging into your LiveHelpNow account and going to Admin Panel > My Account > Account info. Once you have filled out the form, you can now use a LiveHelpNow Chat Button just like any other Magento widget. If you would like to install the HelpOut Tab plugin for Magento, please click here.